2105, September: Intelligence Analyst Caine Riordan uncovers a conspiracy on Earth's Moon - a history-making clandestine project - and ends up involuntarily cryocelled for his troubles. Twelve years later, Riordan awakens to a changed world. Humanity has achieved faster-than-light travel and is pioneering nearby star systems. And now, Riordan is compelled to become an inadvertent agent of conspiracy himself. 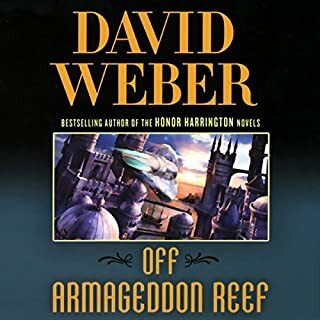 Riordan's mission: travel to a newly settled world and investigate whether a primitive local species was once sentient - enough so to have built a lost civilization. 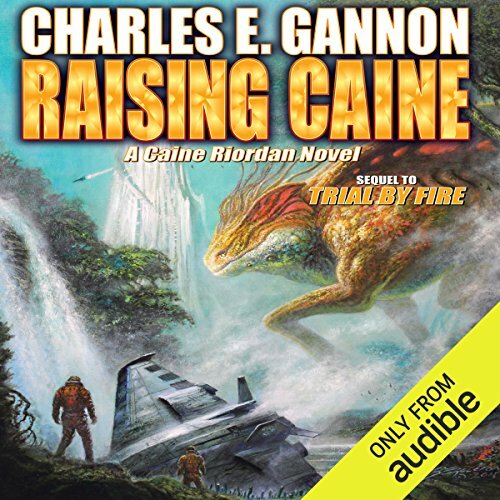 ©2015 Charles E. Gannon (P)2015 Audible, Inc. This book spend a lot of time with the 'bad guys' who are so flat and predictable. To the point where I found it really a struggle to keep reading. But the other points of view were great. And the amount of work the author put into describing the alien flora and fauna was incredible. 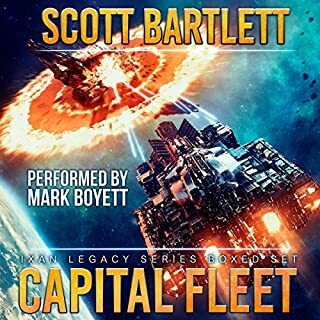 Quite good for modern Sci-fi. Still a little too much of the military component to get 5 stars. 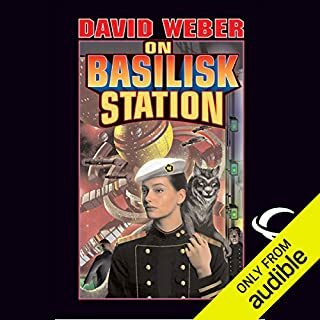 Has a more of the thinking component than most military Sci-fi. The first book was the best. If I had not finished the series, I would have given the first one 5 stars. Conflicts yes, but fewer pitched extended battles. 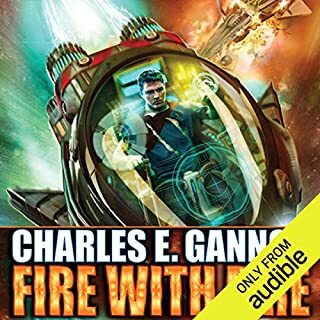 Charles E Gannon continues to build a fun and engaging story with a wonderful mix of square-jawed action in an interesting science fiction story. The aliens are very different cultures and he crafts them well. This third book is a great continuation story that seemlessly flowed from the prior story right into the action. Caine (along with Ambassador Gassbard) are put in charge of a legation to visit the Slaasriithi homeworld. On the way, their plans are interrupted by the K'tor. This book spends a large amount of time delving into the culture and history of both the Slassriithi and the K'tor. Things that were hinted at in previous books begin to make more sense, but yet more mysteries and questions about their origins are raised. Caine continues to present super human skills in navigating diplomacy, war, and alien races. It is always a pleasure to see what is happening inside his head and how he reacts to every situation. He really is the star of this novel, along with Gassbard and the Slassriithi represneative. There were also a few minor characters that were quite intriguing and fun. However, most of Caine's crew are somewhat forgettable and generic, though their team work was not. I would say at times some passages could become a tad too long...especially the K'Tor parts. Also, some minor profanity here that could make it less of a YA-appropriate listen. NOTE: I received this for free in exchange for an honest review. 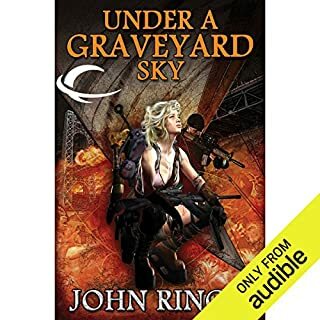 If you enjoyed Tom Clancy, this series will keep you entertained. Gannon could really use some coaching on how to write female characters, though. Book 3 is an interesting addition to the Caine Riordan series. But this book isn't for the faint of heart or the easily distracted. 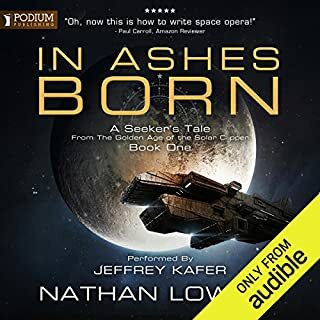 Long detailed pages delving into the minutia of biological, mechanical, war theory, and space physics make up a significant portion of this story. I feel my Gannon is leading us into a more spirited Book 4, and maybe Book 5 with this edition. However; the scientific expressions are well thought out and are not overwhelming. The story is thrilling, detailed, seemingly impossible at times. But, all of that keeps me listening.